This is not a picture of Daniel Rhodes. But if he were a dog, he might look like this. It is with delight that I present a guest blogger who has volunteered to give his thought on the roadside Suboxone signs that I blogged about several weeks ago. I’m also delighted that I get to take a week off blogging, and hope all my readers have a great holiday weekend. Daniel Rhodes is an LCAS-A and LPC-A working in both an OTP and a private Office Based Practice. He had a background in Abstinence-Based treatment models, and has, over the years, come to believe strongly in MAT. He believes in the importance of both approaches and that each has much to learn from the other. When I first saw a sign on the side of the road advertising Suboxone, I reacted strongly enough to take a picture to show at work and marvel over. I discussed the issue with Dr. Burson, and realized my initial reaction was incomplete. My gut told me that there was something off about the situation, that there was something unethical or below-board happening, but I could not understand why that might be. I believe pretty strongly in a Harm-Reduction approach to addiction treatment, first managing the dangers of overdose and disease then trying to help addicts address the issues underlying their disease. I think wider availability of the combination buprenorphine/naloxone product is a good step towards that goal of Harm-Reduction. In fact, I have been known to argue for the combo product to be available in vending machines. While this is an extreme example and there are many reasons it is not a feasible option, I do think it illustrates a valid principle: Buprenorphine saves lives, prevents the spread of disease, and is a remarkably safe medication. Expanded availability is a good thing. So why did this mobile Suboxone van raise my hackles? Surely, this would increase access to the potentially life-saving medication, and should therefore line up perfectly with my philosophy! In part, of course, it does; however, I have been able to articulate for myself several ways it does not, several reasons for my misgivings. First, as Dr. Burson has said many times, it should be no more expensive for a doctor’s appointment addressing addiction than it is for any other appointment. In the affluent area of Lake Norman, were I to pay out-of-pocket for a routine follow-up visit with my primary care MD (without applying insurance), my cost would be $65. According to their website, the Mobile Suboxone practice charges $175 for an office visit, making their per-appointment charge roughly 270 percent what my primary-care MD charges. While there is certainly nothing wrong with making a profit, I have to wonder if the price differential is warranted, or if it is taking advantage of a relatively desperate population. Second, since their website does not identify the person (people?) seeing the patients, there is no way to assess the legitimacy of the practice. In my previous example of buprenorphine in a vending machine, there could be no pretense of legitimate medical practice. However, in a Mobile Suboxone unit, a patient might leave believing he or she had received sound medical advice when this was not the case. There is little on their own website that points to more than a veneer of sound medicine; there are many claims, but paltry sourcing (Wikipedia among them) and seemingly no accountability. As far as I can find, they make reference to a Physician Assistant and “physicians throughout the state,” but attach no names to their practice. In short, even though the practice might expand access to buprenorphine, it seems to be doing so in a way that potentially bills their service as more than it is. Third, and following on my point about the medical quasi-legitimacy, the website compares their service to Methadone clinics in a way that I do not believe is fair or even reasonable. They claim that Methadone clinics are too expensive, that they disrupt life too much. While it is certainly true that daily dosing in a clinic can be a burden, particularly if a patient lives far away, a clinic offers a vital component seemingly lacking in the model of the Mobile Suboxone practice: accountability. While they make claims of daily electronic interaction, the daily in-person contact of a Methadone clinic provides a much better picture of a patient’s progress than any electronic communication could. A Methadone clinic mandates and provides counseling for its patients, typically included in the daily fee. The website for the mobile practice offers counseling electronically, the frequency of which is “between you and the counselor,” at a cost of an additional dollar per minute. It seems like an apples-to-oranges comparison: Yes, Methadone might be more expensive than their service, but it comes with much more intense support. Finally, that the signs mention “micro-loans” is worrisome. I am not sure how this will work, and I find no mention of the loans on the site. “Micro-loan,” however, evokes images of payday lenders, pawn shops, and other outlets associated with active addiction. It is hard to imagine a scenario in which no one is taking advantage. I believe the idea of the Mobile Suboxone practice risks losing the ground we have fought so hard to gain in the discussion of the “opioid crisis.” At last, MAT is something being discussed in political circles, and funding is finally opening up to expand access to treatment. Poorly run practices, profiteering, and anything that risks damaging the perceived legitimacy of MAT risks lives. If the practice is not well-run, I fear it might prove an impediment to treatment rather than the expansion it claims to be. In conclusion, I may be completely wrong. The Mobile Suboxone practice may be exactly what we need to help more patients get access to life-saving treatment. I sincerely hope my misgivings prove unfounded and that the people behind the roadside signs are creating a new way to combat the disease of addiction. At this point, however, I believe the onus of proof lies on them to show the rest of us how their treatment will work, and that they are not taking advantage of a population that so desperately needs the help offered by well-administered MAT. Big drug labs in China and Mexico have found it’s cheaper to manufacture the potent synthetic opioid fentanyl than it is to harvest and process opium into heroin. Therefore, much of what is sold as heroin is now mixed with fentanyl and its more potent analogues, sufentanil and carfentanil. This is causing heroin overdose deaths in the U.S. The National Institute on Drug Abuse issued a recent report saying that heroin overdose deaths increased over six-fold from 2002 to 2015. This is shown in the graphic at the beginning of this blog. This problem is worse in some regions of our country than others; the Northeast has traditionally been plagued with heroin deaths at a high rates, but other areas of the country have higher rates of increase in heroin deaths. There’s no way to know the potency of drugs sold as heroin, making it much easier to overdose and die. Don’t use alone. Use with a friend, and stagger your injection times so that one person is alert enough to summon help if needed. Do a test dose. This means instead of injecting your usual amount, try a tiny bit of the drug first, to help assess how strong it is. Use new equipment, if possible. Some pharmacies are willing to sell new needles and syringes with no questions asked. Other drug users in your community may be able to tell you which pharmacies are willing to do this. Remember that if you’ve had a period of time where you’ve been unable to use any drugs, your tolerance may be much lower. Highest overdose risk is seen in patients who have just been released from jail, from detox units, or from the hospital. Do NOT go back to the same amount you were using in the past. Don’t mix drugs. Opioid overdose risk increases when other drugs are used too. I’ve heard the harm reduction versus abstinence -only debate about addiction treatment many times, not only at addiction medicine conferences, but also in my own head. In the past, I thought abstinence from all addictive drugs was the only true recovery from addiction. As I’ve aged, I’ve traveled far into the harm reduction camp, having seen people with addiction die from their disease when perhaps more could have been done to save them. A wise mentor of mine once said try not to argue with people who aren’t actually in the room with you, so I’ve committed the debate to writing. Following is an imaginary debate between two addiction treatment professionals. One professional believes harm reduction measures are worthwhile because they can keep drug users alive and healthier, even if they never completely stop using drugs. 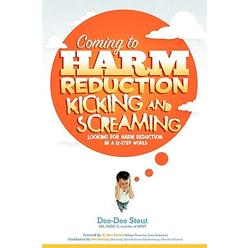 The other professional feels harm reduction cheats a drug user out of full and happy recovery, which she believes is seen with complete abstinence from all drugs. HR: I fully support needle exchange programs. They have been proven to reduce transmission of infectious diseases, including HIV and hepatitis. Why wouldn’t we want to help people avoid getting these potentially devastating diseases? AO: Because giving out needles sends the wrong message. It says we are OK with people injecting drugs, and that we are willing to make it easier for them to do so. Appearing to condone drug use in any way sends the wrong message to young adults, who may be considering using drugs for the first time. Stigma towards drug users can be harmful, but perhaps stigma serves a good purpose if it discourages people from doing dangerous things like injection drug use. HR: Studies do not show needle exchange increases the likelihood that people will start using drug intravenously. Easily available clean needles are not enough to convince a person to start injecting drugs. Besides, even if you have little compassion for the drug user, for every case of HIV we prevent with needle exchange, we save our society countless dollars in medical care. That’s just one disease. When you consider the health burden and medical costs of transmission of hepatitis C, it’s even more reasonable. Even the ultra-conservative Mike Pence, the former Governor of Indiana and our future Vice President, changed his mind on needle exchange after an outbreak of HIV occurred in a rural community among people injecting opioids. Besides being morally right, needle exchange makes financial sense. AO: No, it doesn’t. It sends a message to drug users that we’ve given up on them. It says we don’t think they will ever be able to live without injecting drugs. In a way, it infantilizes them. By making drug use easier, we may cheat them out of trying to become clean and sober. HR: First of all, medication-assisted treatment (MAT) is harm reduction only so far as all treatment should reduce harm. MAT is a good treatment in itself, and isn’t necessarily just a stop on the journey of recovery. I fully support medication-assisted treatment. We have fifty years of studies that show people who are addicted to opioids are less likely to die if they enroll in methadone maintenance or buprenorphine maintenance. It is one of the most heavily evidence-based treatments in all of medicine, and it is endorsed by many professional agencies, such as the Institute for Medicine, Substance Abuse and Mental Health Services Administration, the World Health Organization, and the American Society of Addiction Medicine. We have study after study showing how opioid addicted people have a better quality of life when on medication-assisted treatment with methadone. We have more information about methadone because it has been use in the U.S. much longer than buprenorphine, which was approved by the Food and Drug Administration in 2002, after the Drug Addiction Treatment Act of 2000 was passed. Opioid-addicted people enrolled in methadone treatment are more likely to become employed, much less likely to commit crime, and more likely to have improved mental and physical health. They receive addiction counseling as part of the process of treatment. We think buprenorphine has the same benefits, though there have been fewer studies than with methadone. We do know the risk of opioid overdose death is much lower when an opioid addicted person is treatment with buprenorphine, too. Because medication-assisted treatment is so effective, it should be considered a primary treatment of opioid addiction, and not only a harm reduction strategy. AO: With MAT, opioid-addicted people may be harmed more than if they continue in active addiction. It is no different from giving an alcoholic whiskey. Methadone is a heavy opioid that’s difficult to get off of. The opioid treatment programs that administer methadone don’t try to help these people to get off of methadone, because they make more money by keeping them in treatment. These patients are chained to methadone with liquid handcuffs forever. It’s also expensive over the long run, and patients have to agree to many restrictions put on them by state and federal governments. HM: Methadone and buprenorphine treatments are not like giving an alcoholic whiskey, because the unique pharmacology of these medications. Both medications have a long half-life, and when patients are on a stable dose, they feel normal all day long without cravings for illicit opioids. This frees them from the unending search for drugs that occupies much of their days. Instead, they can concentrate on positive life goals. Also, even after an opioid- addicted person stops using opioids and endures the acute withdrawal, he will usually feel post-acute withdrawal. This syndrome, often abbreviated PAWS, can cause fatigue, body aches, depression, anxiety, and insomnia. It’s unpleasant. Many people in this situation crave opioids intensely. We think this occurs because that person’s body no longer makes the body’s own opioids, called endorphins. Endorphins give us a sense of well-being, and without them, we don’t feel so good. When humans use opioids in any form, our bodies stop making endorphins. In some people, it takes a very long time for that function to return. In some cases, it may never return. We can’t yet measure endorphin levels in humans, so this is a just theory, but one borne out by years of observation and experience. Methadone and buprenorphine are both very long-acting opioids. Instead of the cycle of euphoria and withdrawal seen with short-acting opioids, these medications occupy opioid receptors for more than twenty-four hours. It can be dosed once per day and at the proper dose, it eliminates craving for opioids, and eliminates the post-acute withdrawal, which is so difficult to tolerate. We often compare opioid addiction to diabetes, because in both cases, we can prescribe medication to replace what the body should be making. And yes, methadone is difficult to taper off of, but most of the time it is in the patient’s best interests to stay on this medication, rather than risk a potentially fatal relapse to active opioid addiction. Some patients are able to taper off of it, if they can do it slowly. Do you think of a diabetic who needs insulin as being “handcuffed” to it? Do you think the doctor who continues to prescribe insulin is just trying to make money off that patient? Why is it wrong to make money from treating addiction, but not other chronic diseases? AO: What about all of the former opioid-addicted people, now in 12-step recovery, who are healthy and happy off all opioids? Why are these people doing so well, even though they had as severe an addiction to opioids as the patients in opioid treatment programs? HR: We don’t have all the answers to this question. One form of treatment, even medication-assisted treatment, won’t be right for every patient. Maybe the support that a 12-step group can provide got these people through the post-acute withdrawal. We don’t have much information about these recovering people, obviously due to the anonymous nature of that program. If these people feel OK off all opioids, that’s great. They don’t need medication. But don’t prevent other people who do benefit from medication-assisted treatment to be helped with methadone, and buprenorphine. Besides, not all opioid-addicted people want to go to 12-step meetings. Do treatment professionals have the right to insist everyone go to these meetings, even if patients don’t like them? AO: Medications cheat patients out of full abstinent recovery. Methadone and buprenorphine blunt human emotions, and make it impossible to make the spiritual changes necessary for real recovery. Methadone and buprenorphine are intoxicants, and they prevent people from achieving the spiritual growth needed for full recovery. You keep these people from finding true recovery, and condemn them to a life of cloudy thinking from these medications. HR: Various people assert patients on maintenance methadone and buprenorphine have blunted emotions and spirituality, but there’s no evidence to support that claim. How can you measure spirituality? If spirituality means becoming re-connected with friends and loved ones and being a working, productive member of society, then studies show that methadone and buprenorphine are more likely.to assist patients to make those changes. Physically, studies show patients on maintenance methadone and buprenorphine have normal reflexes, and normal judgment. They are able to think without problems, due to the tolerance that has built up to opioids. They can drive and operate machinery safely, without limits on their activities. Contrary to popular public opinion, patients on stable methadone doses are able to drive without impairment. However, if that patient mixes drugs like sedatives or alcohol with methadone, they certainly can be impaired. That’s why patients should not to take other sedating drugs with medication-assisted treatments. People with opioid use disorder are far more likely to make significant and healthy life changes if they feel normal, as they do on medications like methadone and buprenorphine. If they chose abstinence, many times they feel a low-grade withdrawal for weeks or months, and this makes going to meetings and meeting life’s responsibilities more difficult. Remember: dead addicts can’t recover. Far too many opioid- addicted people have abstinence-only addiction treatments rammed down their throats. Most of these patients aren’t even told about the option of medication-assisted treatment, which is much more likely to keep an opioid drug user alive than other treatment modalities. Too often, people addicted to opioids cycle in and out of detoxification facilities over and over, even though we have forty years of evidence that shows relapse rates of over 90% after a several weeks’ admission to a detox facility. We’ve known this since the 1950’s, and yet we keep recommending this same treatment that has a low chance of working. And then we blame the addict if he relapses, when in reality he was never given a treatment with a decent chance of working! Medical professionals, the wealthy, and famous people are treated with three to six months of inpatient residential treatment, and they do have higher success rates, but who will pay for an average opioid user to get this kind of treatment? Many have no insurance, or insurance that will only pay for a few weeks of treatment. For those people, medication-assisted treatment can be a life-saving godsend. It isn’t right for every opioid-addicted person, but we do know these people are less likely to die when started in medication-assisted treatment. After these people make progress in counseling, there may come a time when it is reasonable to start a slow taper to get off either methadone or buprenorphine, but first we should focus on preventing deaths. AO: Given the time, money, expense, and stigma against methadone and buprenorphine, it should be saved as a last resort treatment. If an opioid-addicted person fails to do well after an inpatient residential treatment episode, then MAT could be considered as a second-line treatment. Let’s save such burdensome treatments for the relapse-prone opioid-addicted people. HR: It seems disingenuous to claim stigma as a reason to avoid MAT when you are the one placing stigma on this treatment. I could go on for many more pages, so let’s stop here. You get the idea. In the past, harm reduction and abstinence were considered opposing views. I’ve heard some very smart people say this is a false dichotomy, and that in real life, these views are complementary. I like this newer viewpoint. Any form of treatment should reduce harm. If a patient achieves abstinence from drugs, then that’s the ultimate reduction of harm. Also, harm reduction principles can help keep drug users alive, giving them the opportunity to change drug use patterns later in life. As I’ve said above, dead addicts don’t recover. Let’s give people more choice and more opportunities to transition out of drug use, if that’s what they desire. Let’s do a better job of working together in the coming year! I’m worried about the people in my community who have opioid use disorders. The rate of opioid overdoses appears to have risen, according to my local newspaper, along with the number of overdose deaths. I think it’s at least partly due to the arrival of heroin in our county. I think it’s time I re-posted some harm reduction suggestions for people who are using opioids. The ultimate harm reduction measure is to get treatment and get into recovery, but if you aren’t ready for that, please be careful when you use drugs. This is a link to a booklet about how to inject drugs more safely, downloadable for free, or available in hard copy for a small fee. It contains excellent information which could be life-saving. Don’t use alone. Use a buddy system, to have someone who can call 911 in case you stop breathing. Do the same for another addict. Obviously you shouldn’t inject at the same time. Stagger your injection times. Evzio is a commercially available kit, very easy to use, that gives verbal instructions about how to use the kit. Some states, like North Carolina, now have third party prescribing, meaning if you have a loved one with opioid use disorder, you can request a naloxone kit prescription from your own doctor, to have on hand for your loved one with addiction. Use new equipment. Many pharmacies sell needles and syringes without asking questions. Other people with opioid use disorder probably can tell you which pharmacies are the most understanding. Don’t use a needle and syringe more than once. Repeated use dulls the needle’s point and causes more damage to the vein and surrounding tissue. Don’t try to re-sharpen on a matchbook – frequently this can cause burrs on the needle point which can cause even more tissue damage. Don’t share any equipment. Many people who wouldn’t think of sharing a needle still share cottons, cookers, or spoons, but hepatitis C and HIV can be transmitted by sharing any of this other equipment. If you have to share or re-use equipment, wash needle and syringe with cold water several times, then do the same again with bleach. Finally, wash out the bleach with cold water. This reduces the risk of transmitting HIV and Hepatitis C, but isn’t foolproof. Use a tester shot. Since heroin varies widely in its potency, use small amount of the drug to assess its potency. You can always use more, but once it’s been injected you can’t use less. The overdoses on heroin are thought to be due to fentanyl added to the heroin, making it more powerful and more dangerous. Use clean cotton to filter the drug. Use cotton from a Q-tip or cotton ball; cigarette filters are not as safe because they contain glass particles. Wash your hands thoroughly before preparing your shot, and clean the injection site with an alcohol wipe if possible. Don’t use lemon juice to help dissolve heroin, as it carries a contaminant that can cause a serous fungal infection. Opioid overdoses are much more likely to occur in a person who hasn’t used recently or has used less than usual for a few days, weeks, or longer. Overdose risks are much higher in people just getting out of jail and just getting out of a detox. Patients who have recently stopped using Suboxone or Subutex may be more likely to overdose if they resume their usual amount of IV opioids. Don’t mix drugs. Many opioid overdoses occur with combinations of opioids and alcohol or benzodiazepines, though overdose can certainly occur with opioids alone. Don’t inject an overdosed person with salt water, ice water, or a stimulant such as cocaine or crystal methamphetamine – these don’t work and may cause harm. Don’t put the person in an ice bath and don’t leave them alone. Call for help, and give mouth-to-mouth resuscitation if you can. And use naloxone if you have it. To people who believe I’m giving addicts permission to use, I’d like to remind them that people using opioids don’t care if someone gives them permission or not. If they want to use, what other people think matters little. But giving people information about how to inject more safely may help keep them alive. If you are a person who uses drugs and never plan to quit, your life has purpose and meaning. Use these safety tips to stay around for it. I had just ushered a young lady into my office. She entered treatment the week before, and I wanted to check on how she was feeling. When I called her from the waiting room, I noticed a rhinestone design on her cap with one part of my brain. I like bright sparkly things, so it caught my eye. But by the time we walked the short distance to my office, it dawned on me what the design was, and I confronted her about it. “What part of you thought it would be OK to wear clothing promoting drug use to your drug addiction treatment program?” I continued. Usually I’m more complacent about clothing our patients wear. Some programs have minimal dress codes: no pajamas, nothing too revealing, must wear shoes, no obscene tee shirts… I’ve never gotten too worked up about clothing, thinking that as long as they came into the building, it was a victory. But for some reason, on that day, I went a little nuts. What can I say, I have bad days too. My patient was apologetic, but said it was the only cap she had. I told her she could turn it inside out, which she did without hesitation. Before you are tempted to write in about how marijuana is really a medication and will be legal someday, let me tell you this: I don’t care. I’d feel the same way if I saw a large, legal, liquor bottle outlined in sequins, or a big sequined Opana pill on a shirt. It’s a symbol of drug-using culture. Today, I’m conflicted. One part of me still thinks it’s not OK to wear clothing promoting any kind of drug use, and this includes alcohol. After all, we are treating patients in whom drug use has caused significant problems. Some of them could be triggered by symbols of drug culture. Is it too much to ask our patients to think about the message they send with their clothing? Other addiction treatment professionals endorse similar ideas. If our patients are to return to mainstream society, don’t we have an obligation to educate them about traits that may still associate them with active drug use? For example, is it possible my patient wasn’t aware of the message she sends with her bedazzled marijuana cap? If my patient wanted to go for a job interview, for example, would wearing this cap work against her? Maybe it depends on the job, but overall I would say the cap would hurt her chances of being hired. On the other hand, if we view the situation with a harm reduction eye, isn’t it good enough at this point that my patient is getting treatment for her addiction? If a patient wants to get help for some aspect of addiction, isn’t that good enough? Maybe it’s unreasonable to expect a patient in treatment for a short time to start viewing her wardrobe with a recovery-oriented eye. Maybe such issues can be addressed later, in counseling, or maybe not, but perhaps I should concentrate on more important issues. Like helping her get through the day without illicit opioids. A harm-reduction model would recommend meeting that person where she is now, in her THC-wearing mindset. Harm reduction is an idea that says any change that reduces the risk of drug use is success, and that we need to accept her as she is. We should respect our patient’s choices and help in any way she is willing. Any reduction around the risk of her addiction is an acceptable goal, even if it doesn’t conform to what I may view as “real” recovery. The question is, or course, where do we draw the line? If it’s OK to wear clothing glamorizing drug use, is it OK to allow patients to tell glamorized stories of drug use in the waiting room? Is it OK for patients to use drugs on the premises? What about dealing drugs? I endorse harm reduction principles, but have come to realize I have limits. The longer I’ve been doing this job, the more enthusiastically I approve of harm reduction principles. However, I still draw the line when one patient’s behavior affects the other patients. That’s why I won’t tolerate drug dealing on the premises, patient violence (against other patients or staff), or drug use on OTP grounds. But that’s a hard call to make, and it’s a decision best made at case staffing with input from other staff. Harm reduction is a difficult idea for many of us. What one person sees as harm reduction, another sees as enabling. Here are some other quotes I’ve heard from other people. I’d like to give credit, but my memory’s not that great.